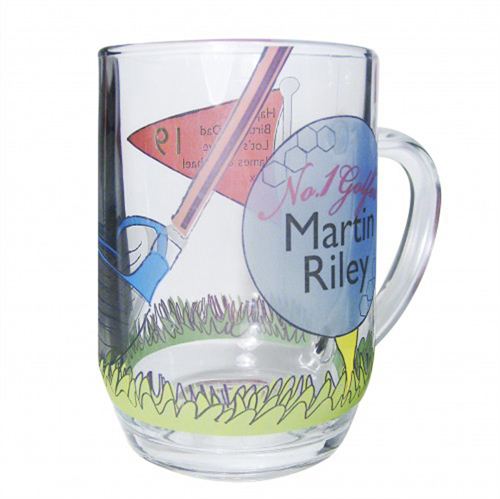 This traditional glass pint tankard is the perfect gift for any golfing enthusiast. Personalise the golf ball on the front with a name, first name up to 12 characters and last name up to 12 characters. Then add your message to flag at the back over 5 lines (Line 1&5 up to 10 characters and Line 2, 3 &4 up to 15 characters).